Friday 18th September. Thank goodness the sun is shining. Just said goodbye to St. Mark’s school and also Holt Primary. The latter, poor things were camping this week and the weather was horrible, particularly Wednesday when it poured incessantly. By the end of the day I felt I ought to take all 46 of them home and get them warm and dry, but we lit the fire in the Longhouse and that did the trick. Before they left, Isaac one of the pupils asked me for Carney’s sticky toffee pudding recipe. I photocopied for him and gave it to the teacher. An embryonic chef? Clayesmore School are here for the day – about 80 13/14 year olds. 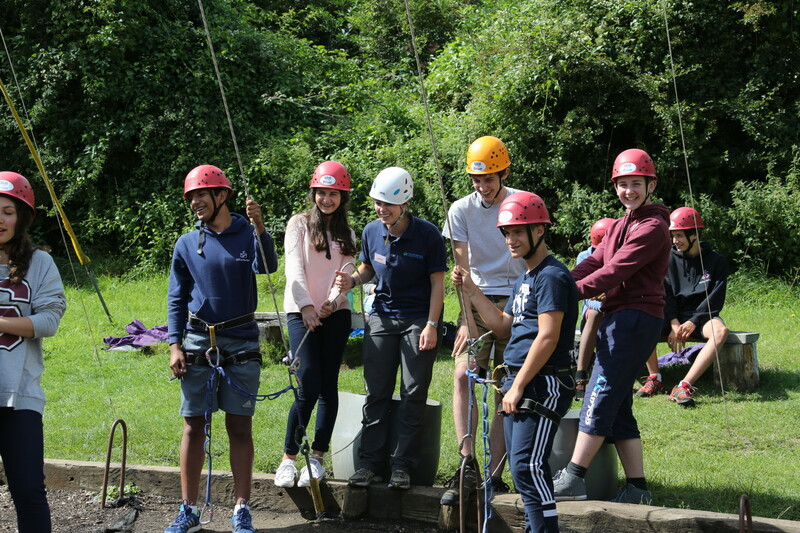 The aim is team building and the teachers consider it invaluable. They certainly seemed to be enjoying themselves as I took the dogs for a walk round the grounds after lunch. The world cup Rugby sweepstake is taking place among our staff – I’ve drawn England. Matt has Argentina. Sarah our housekeeper has New Zealand. Monday 21st September.. After the most glorious sunshine all weekend it’s now pouring with rain as Kingswood Prep arrive. Matt says Kings School tweeted loads of time to say what a good time they had on Sunday at MoB. Tim found Otter footprints down by the bridge – Matt is going to take a plaster cast. Water vole evidence too which is exciting. 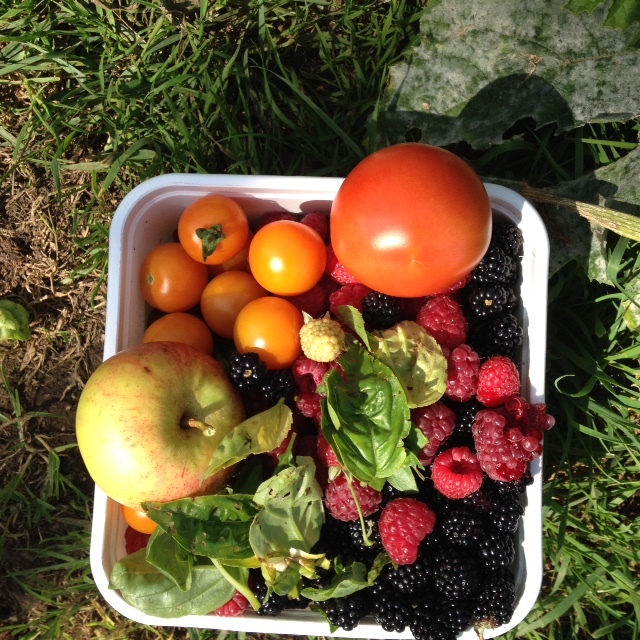 Tuesday 22nd September – apples are falling off the trees, leaves are turning, walnuts, conkers, blackberries, crab apples, rosehips. sloes, in abundance. Wonder how the grape harvest will be as intermittent sun and rain. Friday 25th September. MacMillan Cancer Care Coffee morning. We asked Prior Park pupils if they would like to have cakes at break and together with Mill on the Brue staff we raised £90:22 for the charity. Awful lot of cake was eaten by MoBsters! Said goodbye today to Carney our chef, who is taking up the exalted position of Head and only Chef at Truffles down the road. Also Louise, one of our Senior Instructors who is going into teaching, plus Dan, James and Georgia (all instructors) whose contracts have finished for the year. Hope to see them back in 2016. A weekend off and the weather was glorious. Monday 28th September. Sun is still shining, forecast good and Pucklechurch Primary who have been coming to us for years, are arriving this morning for a week’s stay.